Although our current hiring climate may not have an abundance of jobs available there is definitely an abundance of passive candidates, which is great news for employers! 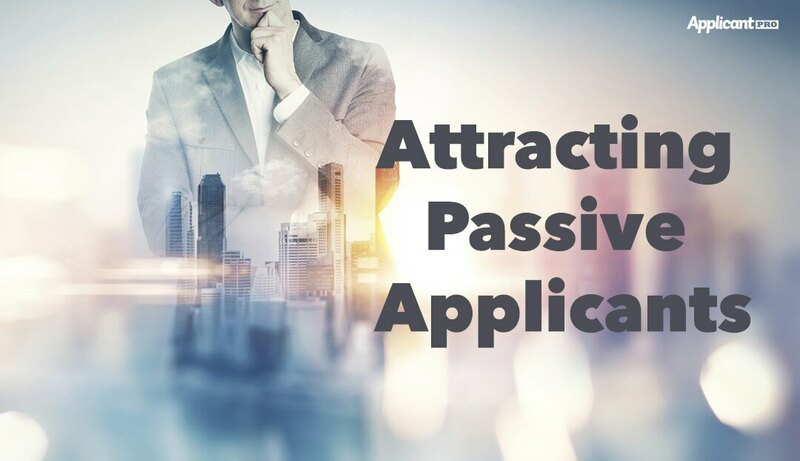 A passive candidate is someone that is not actively searching for a new job, but may consider taking one if the right opportunity presented itself. The trick is to market what your company has to offer to this group of people. There are a couple of foolproof methods any company can use to get the job done. Many passive applicants these days are using their own social networks (Facebook, Twitter, LinkedIn, etc.) as the primary source for learning about new job opportunities. While you may not know how to access the networks of these passive candidates, you can however, use the social networks of your current employees to your advantage. Introducing an employee referral program is the perfect way to get your employees talking about opportunities within your company! This will undoubtedly increase the awareness of your company to those passive job seekers. Don’t leave it up to the applicant to revisit your career webpage on a regular basis to learn about your current opportunities. Allow your applicants to sign up for automated notifications! With automated job alerts, you can build your passive applicant pool even when you are not hiring. Automated job alerts allow your visitors to choose to be instantly notified by email or rss reader anytime a new position is posted on your career site. By offering this option, you are undoubtedly increasing awareness of new jobs when they do become available thereby leading to an increase in applicant traffic and ultimately completed applications. Whether your company is currently hiring or not, you can take advantage of these simple methods to market your company and increase your passive applicants pool anytime! Contact us today to learn more about this or other features of our hiring software.